In honor of 2017 being the Chinese Year of the Rooster, Rong and I wanted to create a special product that captured the spirit of the rooster in a cool way. 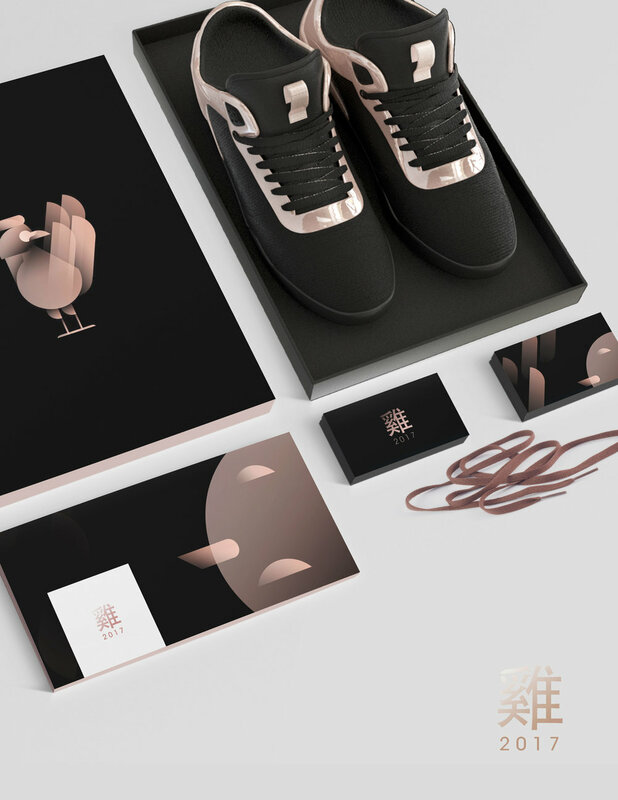 Many shoe brands like Nike and Adidas already had created their own concepts, but we felt that many of the concepts pulled too much of the usual influences from commonly known Chinese themes of wealth (i.e. uses of Red and Gold, curvy gold imagery, etc.). We chose to mix the red and gold and go with Rose Gold with solid black and white to create a higher touch of elegance that gives the shoes a lasting timelessness beyond 2017.